Call Me by Your Name is the story of a sudden and powerful romance that blossoms between an adolescent boy and a summer guest at his parents' cliff-side mansion on the Italian Riviera. Unprepared for the consequences of their attraction, at first each feigns indifference. But during the restless summer weeks that follow, unrelenting buried currents of obsession and fear, fascination and desire, intensify their passion as they test the charged ground between them. What grows from the depths of their spirits is a romance of scarcely six weeks' duration and an experience that marks them for a lifetime. For what the two discover on the Riviera and during a sultry evening in Rome is the one thing both already fear they may never truly find again: total intimacy. The psychological maneuvers that accompany attraction have seldom been more shrewdly captured than in André Aciman's frank, unsentimental, heartrending elegy to human passion. Call Me by Your Name is clear-eyed, bare-knuckled, and ultimately unforgettable. 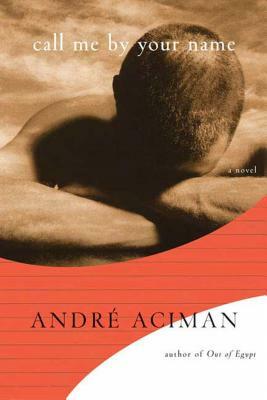 André Aciman is the New York Times bestselling author of Call Me By Your Name, Out of Egypt, Eight White Nights, False Papers, Alibis, and Harvard Square, and most recently Enigma Variations, now out in paperback. He's the editor of The Proust Project and teaches comparative literature at the Graduate Center of the City University of New York. He lives with his wife in Manhattan.